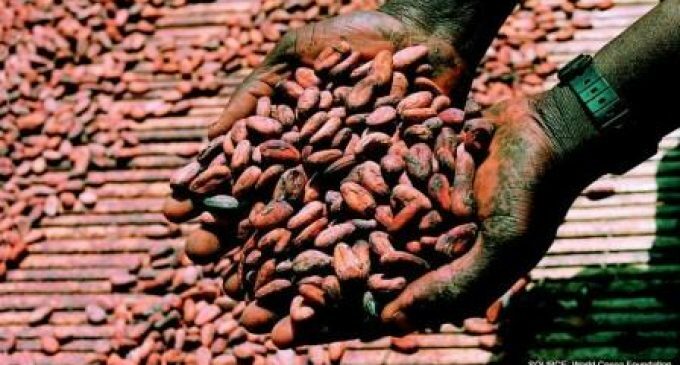 Informa’s Agribusiness Intelligence, the leading provider of news, data, analysis and forecasts across the agricultural and commodities value chain, has revealed cocoa production will hit a record high of 4.85 million tonnes in 2019. Despite uncertain times for the cocoa market, an increase in global cocoa production is almost certain this year with West African production has increasing by around a third. However, it is unlikely an increase in production will be met with an increase in demand, leading to a volatile market throughout 2019. In spite of attempts by number one producer Ivory Coast to deliberately cut cocoa production to control prices, favourable weather helped the crop to mature in decent conditions, which is expected to hit 2.12 million tonnes from 1.96 million tonnes in 2017/18. Second biggest producer Ghana is predicted to produce 950,000 tonnes, up 47,000 tonnes from the previous season. Nigeria is expected to produce 250,000 tonnes in 2018/19, down 10,000 tonnes from our earlier estimation. Finally, Cameroon is expected to produce 240,000 tonnes in 2018/19. The drastic increase in cocoa production partially can be explained by favourable weather – a proper mix of rains and sunshine promises an ample harvest. However, the market has also seen an increase in production from cocoa trees planted in protected areas in previous seasons when prices were high (and, therefore, not officially counted). Global cocoa prices haven’t plummeted just yet, but prices will be closely watched in 2019 and Informa expects a volatile market to persist for the near term. In addition, the demand side of the balance has yet to be confirmed. Currently European processors are running out of stocks and may have to pay an additional premium for high-quality beans on the spot market to receive deliveries. The upside potential is limited as we do not expect that higher demand is able to cope with massive supplies. If demand surprises to the upside it can balance the market at best, but if not, we will see another year with a massive surplus. In other global markets, Ecuador is expected to produce 280,000 tonnes of cocoa in 2018/19, followed by Indonesia at 260,000 tonnes and Brazil with 200,000 tonnes. Malaysia is expected to produce just 6,000 tonnes in 2018/19. Recent grinding data (an indicator for cocoa demand) was positive but failed to cope with higher production. Combined European, Asian, and North American grindings finished Q4 2018 with 3% growth compared to Q4 2017. For the 2018 calendar year grinding increased by 4.4%, while 2017 finished with 4.2% growth. Two traditional cocoa markets, Europe and North America, face saturated local markets. The growth rate of grinding there is slowing down compared to the two previous seasons. This indicates that demand for cocoa is slowing which may result in lower raw ingredient prices for manufacturers of cocoa derived products that they may choose to pass on to consumers. Nestlé: can cinnamon help prevent weight gain?